Best of all, you use your own merchant account so the money goes straight into your bank on your normal payment terms. Whatever combination of events with paid entry or free options you want, EventReference by RefTech has the answer. Often events will have extra options that can be purchased at the time of registration such as for the Gala Dinner or After Show Party. 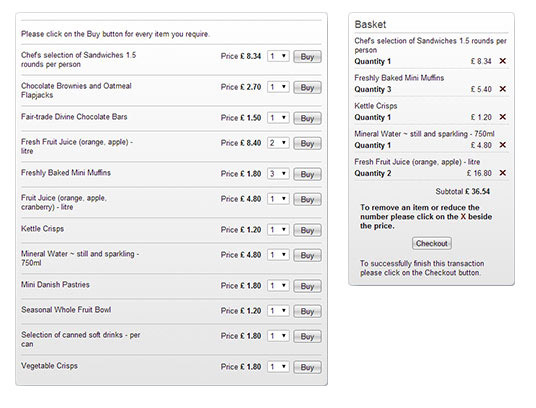 Whatever the options are, EventReference can help with the ability to create a product catalogue for your attendees to see when they are registering. It doesn't matter if your main event registration is free - you can still offer extra products to the registrants and allow them to get more from your event by selling them extras. 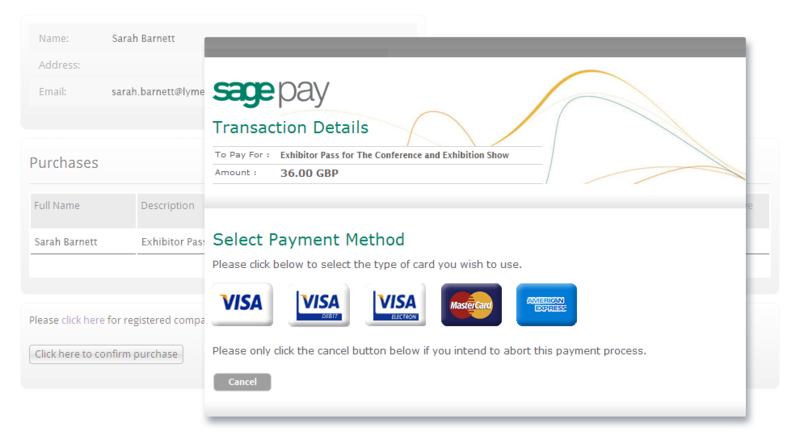 EventReference already integrates with the most common payment gateway providers including PayPal, SagePay, Barclays EPDQ, DataCash, NetBanx and WorldPay. This means that if you are with any of these providers then we can integrate your registration with your merchant account and have you taking payments very quickly. We are also continually looking at other payment gateway providers to integrate with as and when the needs arise for our customers. Obviously, the power to take all these payments is no use if you can't report on what has happened in a quick and easy way. EventReference allows you to see all the transactions that have happened through the system, what products have been purchased and by who. Don't forget you can do this yourself or we can do it for you. To compliment this why not take a look at our fast track on-site options and our verification scanning software. You may also be interested in certificate printing and session scanning.